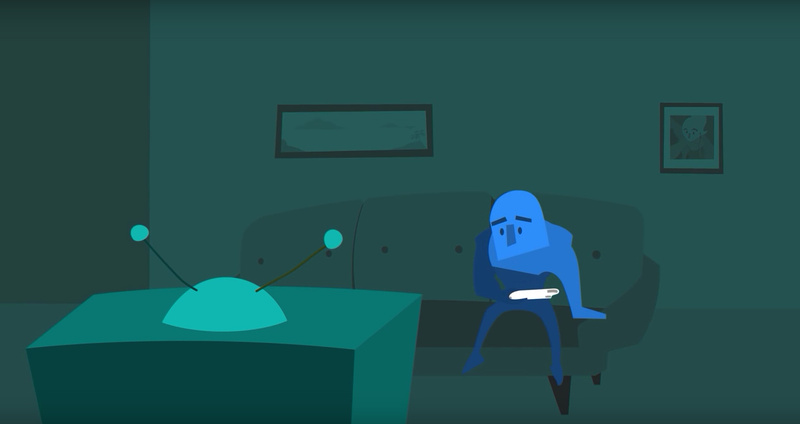 Runbow is finally out in both North America and Europe. But did you know that to Runbow properly you need to follow a series of steps? It is scientifically proven by a group of proven scientists that running is more difficult than walking. Write that down as a fact! Luckily for you we have come up with the perfect guide; no no, sorry… We have come up with the ULTIMATE Guide To Runbow Properly. We've even done nine tips to match the fact this game has 9-player multiplayer, because we're witty like that. If you follow our steps you'll become the very best at Runbow (maybe). 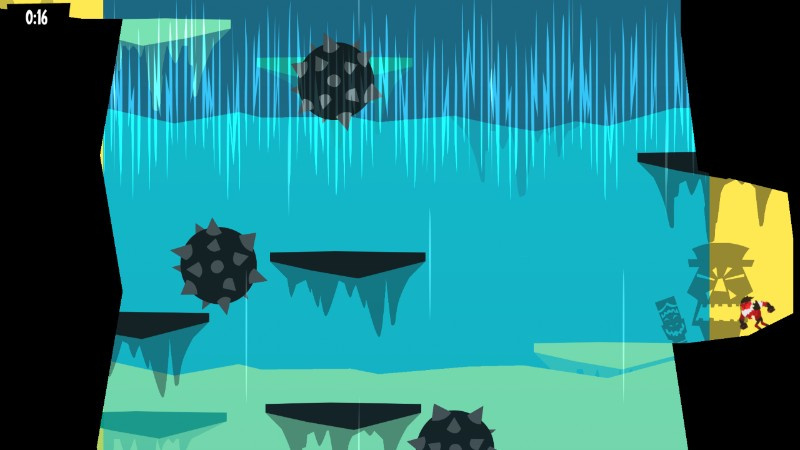 Many runners have complained that Runbow has issues with the framerate, to the point that the game is rendered unplayable. It turns out the source of this problem is the drive where the game is installed. The guys at 13AM Games have already said on numerous occasions that the easiest temporary fix (they're working on it!) is to install the game into the Wii U internal drive. Colours Looking Funny? Adjust Your TV! 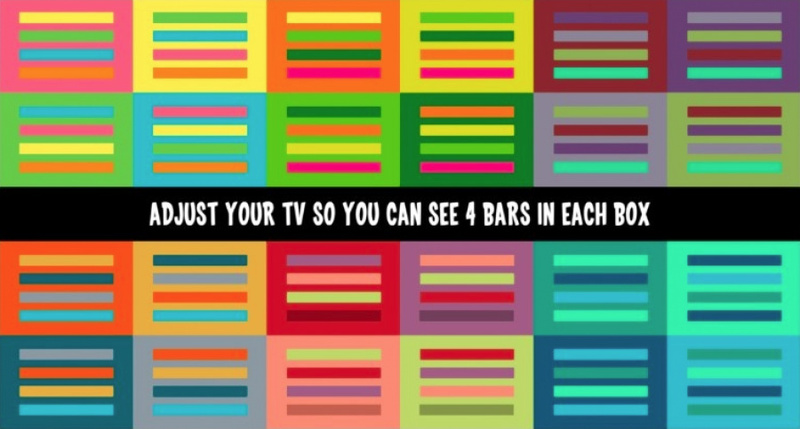 This is a Public Service Announcement: Don't ruin your eyes, fix your TV settings. Runbow is fuelled by the colours of the rainbow. If for some reason your perception of reality is botched, please adjust your TV set accordingly. To do so, head over to the options menu and hit colour test. An image with a group of colours will pop up on your Wii U GamePad, this place is also known as the VAL-HUE room. Next, proceed to the settings menu of your favourite TV set and twist the knobs until it resembles the true vision of reality - this process is called calibration. Done? Then you're set to enjoy Runbow the way the creators up there (in Canada) intended. At first glance it may not look like it, but every single level in Runbow *ahem* runs in cycles. Sometimes the loop is easy to mambo, and sometimes they're a bit more difficult to tango to their rhythm. Perseverance and observation, my polychromatic friend. These are the two skills you need to become the champion of the broken light! But don't think you can waltz your way in, no matter how skilled you are at Mega Man or Mario, Runbow will punish your lack of patience. As Kesuke Miyagi would say to Daniel-San, "Patience, young grasshopper". 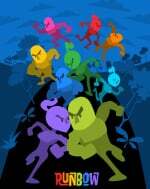 Runbow may feel unfair sometimes, esspecially towards later levels. The truth is, the game isn't unfair, you're just not thinking straight. Try changing your strategy if you keep dying in the same section of a level, whether you're tackling the Bowhemoth or Adventure mode. The answer might be right under your nose. Even though Runbow is a 9-player multiplayer game, you don't need to fill the room to have fun. Sometimes less is more. Don't misinterpret this message, Runbow is excellent when played against 8 other players especially when they are in the same room, but we understand that gathering that amount of players is not an easy task. 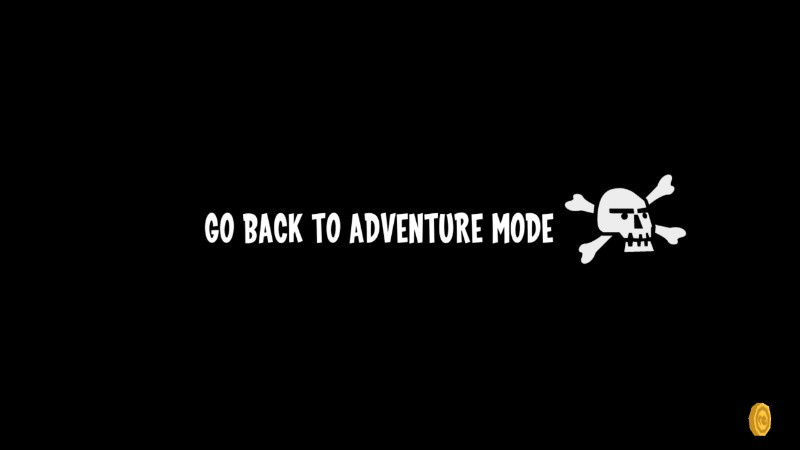 Some modes are pretty awesome with fewer players and there's the chance you might come up with new ways to Runbow. Try to come up with some custom game modes! 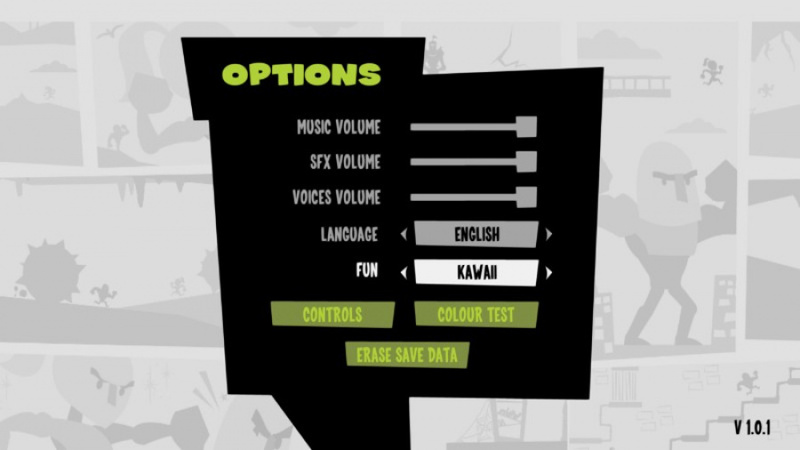 Check the options when playing Runbow with friends (local or online), specifically the item switch options. You might find that playing Run Mode with Swappers Only will spice up the game in interesting ways. Maybe playing King of the Hill with the Mimicry power up or the Camera Flip is your kind of thing. Experiment with the options and you'll see there's plenty of Runbow for everyone. Is the Bowhemoth causing you indigestion? Heed the advice of the skull that pops up every time you die. For those of you who don't know, those messages are not pre-recorded. Well they actually are, but the delivery is not preset. The skull who delivers these droplets of advice and sarcasm is a sentient being channelling the spirit of every runner who has perished inside the belly of the beast. It's a fact that the Bowhemoth is the most difficult challenge in Runbow. The game says it at the loading screen. What some people may not realize is that some of the rooms inside the Bowhemoth are heavily inspired by some of the Adventure mode levels. Practice and you'll become a Bowbarian in no time. Have You Tried Beating The Bowhemoth In Less Than 10 Deaths or 20 Minutes? Because there's no reward for doing so, don't believe the rumours nor what the character menu says. You won't unlock a new costume, esspecially not the Huenicorn. It's scientifically proven that unicorns do not exist, the chimera of mixing a human and an unicorn is out of the question. Do not attempt to complete this feat, you have been warned. The guys at 13AM Games understand that everyone loves having fun, but not everyone has fun in the same way. Facing this predicament, they concocted a machine to deliver fun in every spectre colour of the light passing through a prism. The result is this game we call Runbow, but even when this machine of chromatic proportions was finished, the creators were not happy with it, and they felt it was lacking something. Enter the Fun leveller: a setting under the Options menu that lets the player adjust the fun level to their liking. This setting is a reminder that you should always have fun when playing Runbow, be it with friends or solo. Have you tried the Kawaii setting? Apparently it makes everything look cuter. And last but not least… Have you checked the in-game manual? In this day and age, we tend to forget that games still come with a manual. The difference is that they are no longer physical, instead the manual can be accessed by pressing the Home Screen button. Packed with nifty tips and strategies, this digital manual will help make your Runbow experience a pleasant one. It's a lot of fun, but I think it genuinely could be the hardest game I've ever played. Also, the online lags like crazy. Although I'm impressed it has online at all, I wasn't expecting it. Gonna wait for a sale, the demo didn't impress me too much. I've heard numerous concerns over the online experience. Get it up and running smoothly and I will reconsider purchasing the game. I've had a blast with it. It's a must if you like multiplayer games. Check out this quick gameplay video I did with my friend. Even with 1v1 it's great fun competition! @shigulicious It works most of the time ok. Bigger "problem" is that there is a huge number of players leaving after few runs (there's a set of 10 runs in a match) if they haven't gotten a win. As a local Multiplayer game I put this up there. It's FANTASTIC! WiiU owners should own it. End of story. Anyone who wants a developer (indie or otherwise) to make games that take advantage of the WiiU should buy this immediately. For what it's worth this was my second favorite E3 demo behind Extreme Exorcism, but the demo didn't do it justice. This is a REALLY well polished / amazing package of a game. @manu0 Don't you get 10% off now for playing the demo. Honestly, if I had heard about the demo I would have tried it out then. @Nico07 15 %, yes. But it's still 11.89 EUR. I'll buy it when it's at most 8 EUR. Only played one online match of 10 and had no problems at all. Was great fun and really competitive, loved it. @Megumi No need to rush it! The developers were talking about giving the game the same treatment Nintendo has been giving to Splatoon to keep the hype alive! @shigulicious @A01 The online has a few bugs that need to be ironed out. It's playable, but we still have some work to do. We will be going live with updates to make the online experience smoother and more enjoyable (especially for EU players!). So stay tuned! And thank you for your support and interest! It means a lot! In the meantime, don't hesitate to tweet @13amgames, if you have any feedback that you'd like to see in an update! @13AM_Alex May I ask you something? Does the fun setting do anything, or is it just there for looks? The first game I played online, the first two rounds ran flawlessly, then rounds 3 - 10 were nigh unplayable. I've mostly been sticking with the single player though. That's gonna keep me busy for a while. The game has far more content than I think anyone realises. The huge cast of indie cameos is excellent. I love playing as Scram Kitty. If nobody has done it yet, you should pitch "Super Indie Bros" to Nintendo. It could be a standalone downloadable game, using the Smash Wii U engine, with a huge cast of indie characters. Make it happen! Somehow! The shining example of multiplayer done right is ever present here so if you have at least 2 other people that will play this with you it's a blast. Similar to smash and Mario Kart it's the reaction of others that makes it great! Thanks! We're glad you're liking the game! We have some cool stuff lined up so keep an eye on us in the future! The near future! Yeah, right now EU players are going to experience more lag than NA players due to our server setup. We're hoping to fix that ASAP. Glad you're enjoying the game, though! We wanted to make sure there was enough single player content because we know you can't have a party with your buddies every night! @Tate24 if you can PM me the details of your slowdown, I can let our technical team know! Is it online or local? My Pro Tip, although I find Runbow mostly enjoyable: get up from the couch, log into Steam and buy Speedrunners. @13AM_Alex Thx for replying. I found when playing solo story mode that on few levels slow down would occur when there was a lot going on. And Also online which would make precise jump's almost impossible! @13AM_Alex Any word on when the update for the lags when running on secondary HDDs will be out? I'll try to move it to the console storage instead, even though it's not an optimum solution for me. Great game, BTW! This game is superb, I've not yet noticed any issues when playing online in the U.K.
Edit: It seems I spoke too soon, I now can't connect to the online servers at all. Yet another edit: it seems Runbow is not the problem, Wii u online servers are currently unavailable in the UK. One cool feature that @13AMGAMES fails to mention is that not only can you play online, but four local players can play against five others. I found that to be a great addition but it's strongly downplayed when the modes are discussed. I haven't had many problems with online in NA since I saved to internal storage but there were some baffling moments. I picked Arena Mode for example only for the match to switch to King of the Hill and then, here's the doozy, I found myself in Bowhemoth Mode online with two other people before the game locked up and I had to hard boot my system. Maybe there's a hacker in the mist? I must say Runbow is the most fun I've had with a game in a long time (Funbow?). It is a great celebration of all the indie content released on Nintendo platforms thus far. I must give extra props for them ONLY including games that were or are going to be released on Nintendo systems rather than seeing another Meat Boy or Spelunky cameo. I was sold after the stellar review here on Nintendo Life. Should be downloading Runbow soon! I've been having a lot of fun with Runbow ever since it launched, the online was very fun! Though it would often freeze when my friend and I are playing online so I haven't been playing online recently. Also @13AM_Alex, would it be possible to add online to the Bowhemoth mode once the team fixes some online bugs? Had a lot of fun with it and I'd love to play the mode with my friend. @13AM_Alex Just wanted to thank you for such a great game. Also I haven't experienced any issues yet and I've played for over 6 hours. The options involved are great and I've currently only got the Fun setting to 'Yes'. Thanks! Glad you are enjoying it! Make sure to switch the fun setting to 'Maximum' and 'Kawaii' at least once! Thanks for the feedback! Online Bowhemoth is something we will look into! No specific date yet, the HDD issue is particularly tricky. We'll keep everyone updated via our twitter channel! @13AM_Alex I'll definitely brave it! So wait, on the image for this article on the homepage there is a player playing the game with the wii remote and another playing with a classic controller connected to said wii remote...can you actually do that? If so, why dont other games let you do that? @Sample_Text Yep! That's one of many ways you can play Runbow! You can also use a Wii Remote + Nunchuck, one player on each end of the cord! Any chance of adding voice chat once you work out the online bugs? I was a doubter, even after the demo, but I couldn't turn down the discount, so I picked it up. And, wow, it's great. Every Wii U owner should get this one. It's as enjoyable alone as it is with a huge group of friends.